Used office furniture can be a wise investment for your business in the Tampa, Florida, area, since it will most likely save you a good deal of money. Office furnishings are an important part of your workspace since they contribute to the aesthetics and functionality of your building, but buying pieces brand new can be incredibly expensive. Purchasing gently used furnishings for your office will allow you to own top-of-the-line furniture without spending a ton of money – an economical choice for any business owner. 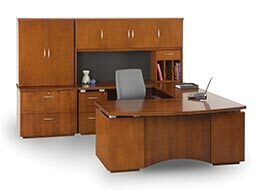 For top-notch used office furniture for your business in the Tampa, FL, area, look no further than Reusable Office Interiors. We offer a wide variety of beautiful and durable furnishings from popular manufacturers like Herman Miller, Steelcase, Teknion, and Haworth. We can help you find the perfect desks, cubicles, conference tables, filing cabinets, and other types of furniture for your office. When you turn to us for your office furniture needs, you not only get outstanding furnishings for your business, but you are also joining the growing community of companies that choose sustainable options. By updating your office space with gently used furniture, you are recycling perfectly good products, extending the life of these furnishings and helping limit the amount of items that needlessly end up in landfills. To learn more about the used office furniture we have available to business owners in and around the Tampa, FL, area, contact Reusable Office Interiors today. One of our friendly associates can tell you more about our initiatives to be your environmentally friendly office furniture option.